AGRITEC AFRICA is an International Exhibition & Conference on Agriculture Technologies that will take place during 20-21-22 June 2018 at Kenyatta International Exhibition Center, Nairobi, Kenya. 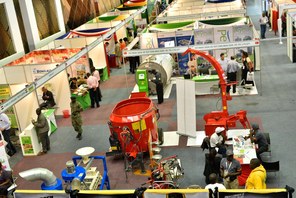 A total of 175 companies from 25 countries are expected to participate in this exhibition and a large variety of agriculture professionals will join the 5th Agritec Africa including progressive farmers, dairy farmers, dealers, distributors, importers and government officials. With 5th Agritec Africa, the 5th edition of Dairy livestock & poultry Expo Africa and Graintech Africa are also organized as concurrent events to include companies from Dairy, Poultry, Livestock and Grain-related sectors. Dairy Livestock & Poultry Expo is an event for promoting agriculture and farming industries. The prime objective of this show is to apprise farmers on upcoming technologies, knowledge and innovations in the farming sector. This event features mostly products from East and Central Africa. Agriculture is a major employer in Africa and the country traditionally exports tea, coffee and most recently fresh flowers to the European continent.